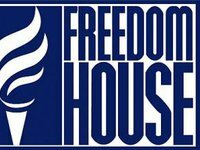 The international human rights organization Freedom House has said in its 2019 Freedom of the World report that Ukraine is "partially free," while Russia-occupied Crimea is "not free." The report issued on Tuesday says human rights activists have documented more than 50 attacks on activists and human rights leaders in Ukraine during the first nine months of 2018. "There were also a number of severe assaults by nationalist groups against the Romany minority. Investigations into those incidents generally took place only after significant pressure from civil society," the report says. The human rights group said lawmakers and President Petro Poroshenko approved legislation to establish a long-awaited anticorruption court. However, domestic and international observers expressed concerns about the selection process for the 39 judges who would sit on the court. According to the report, sporadic military operations continued in Donbas and the United Nations said more than 3,000 persons had died in fighting there since 2014. In addition, Freedom House said in November, martial law was imposed in 10 Ukrainian regions for 30 days after Russian forces captured 24 Ukrainian naval sailors near Crimea. "Provisions of the martial law decree allowed restrictions on free speech and assembly, but these were not invoked in practice," the report said, adding that opposition activists protesting against Russia's occupation in Crimea continued to suffer. Along with Ukraine, in the section of "partially free" countries there are 59 other states and five territories, among which are Moldova, Hungary, Albania, Serbia, Macedonia, Bosnia and Herzegovina, Mexico, Pakistan, Myanmar and Indonesia. 50 countries and eight territories, including Russia, Belarus, Kazakhstan, China, Egypt, Algeria, Libya, Saudi Arabia, Iran, Iraq, are regarded as "no free." Some 86 countries and one territory are recognized as "free", including the U.S.A., Canada, Germany, France, Spain, Italy, Poland, Great Britain, the Baltic countries, Brazil, Argentina, and Chile. A total of 209 countries and territories were analyzed in the report.